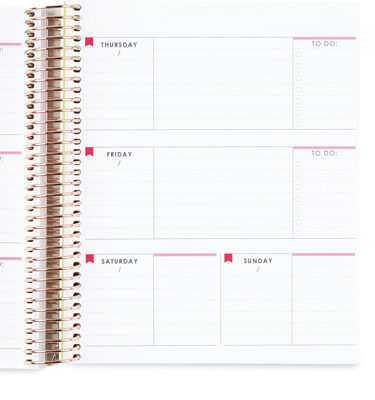 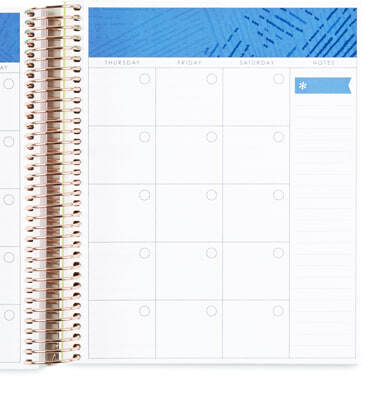 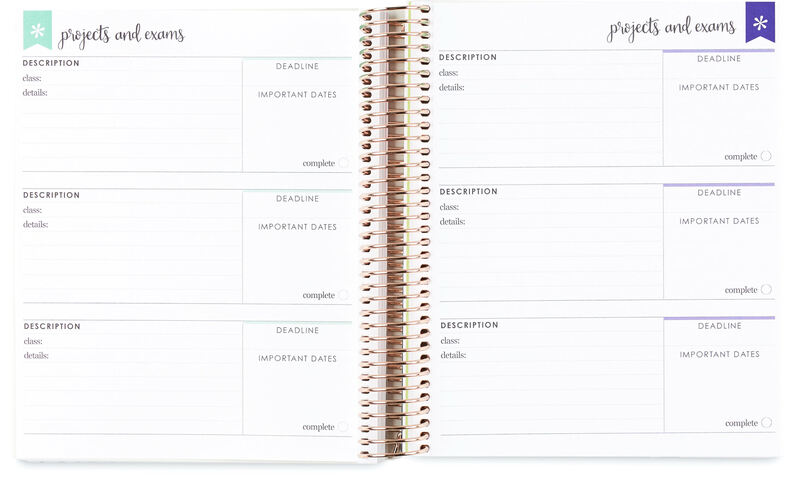 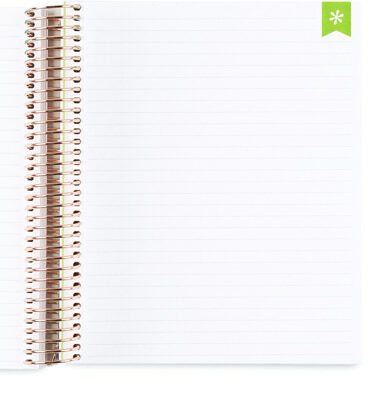 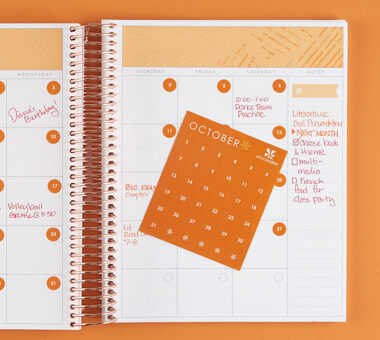 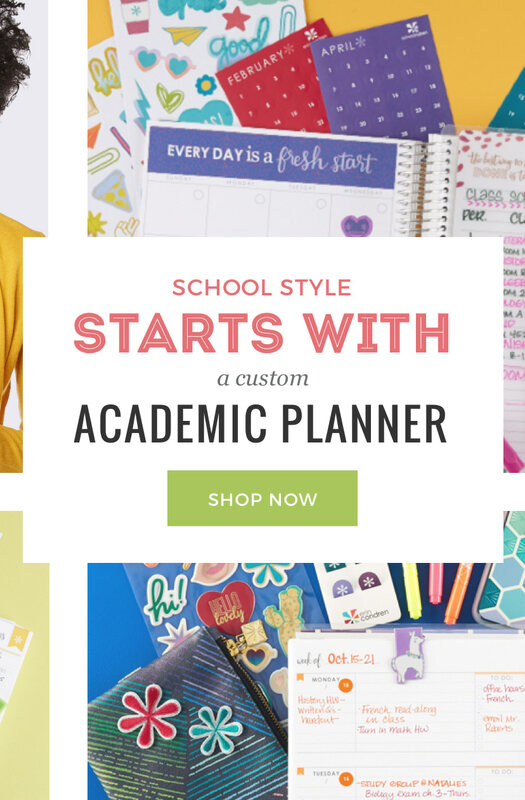 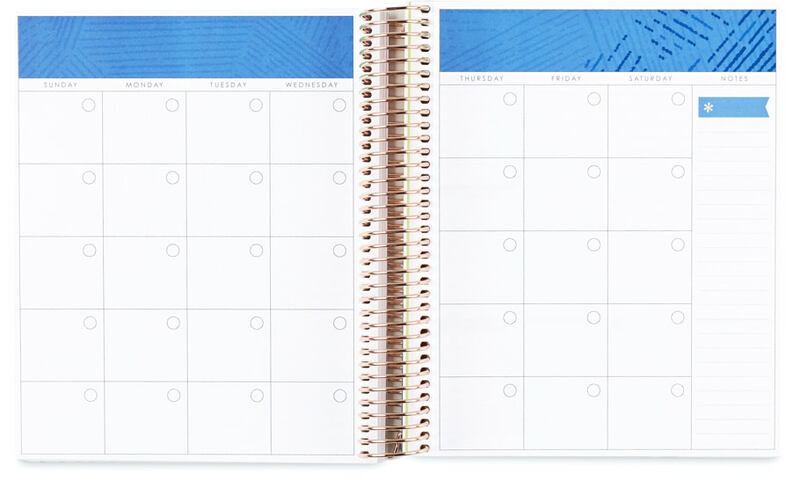 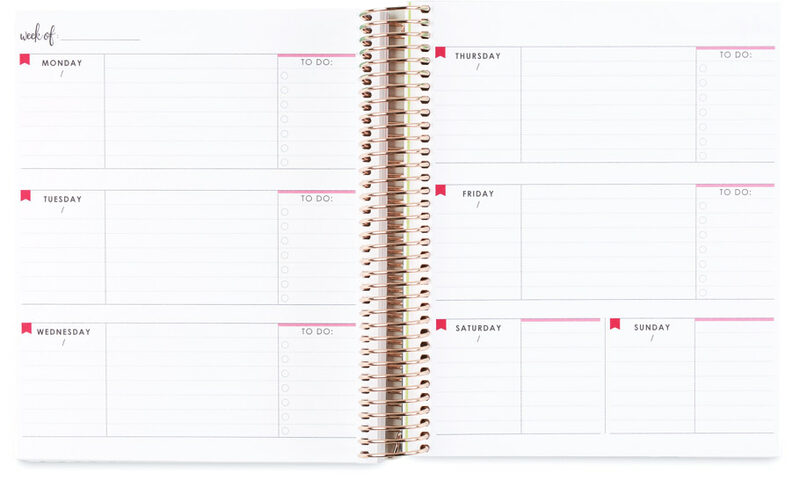 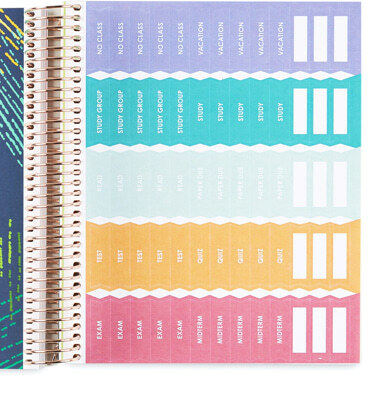 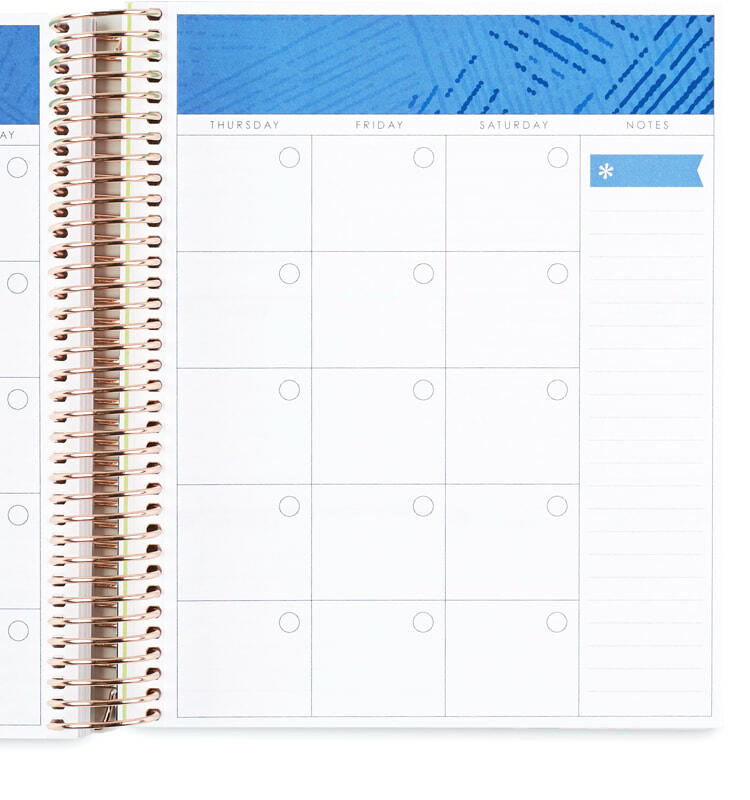 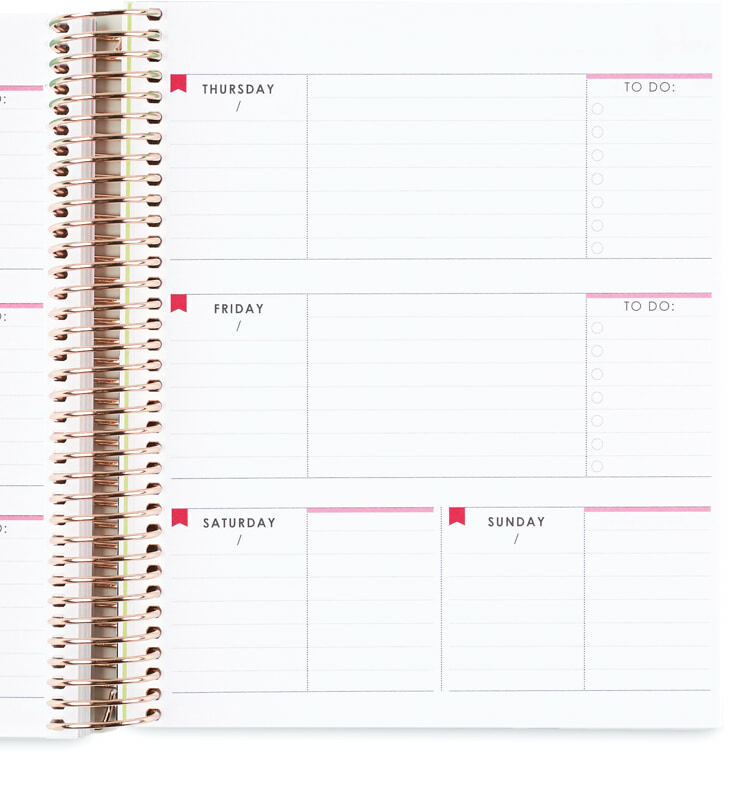 This must-have academic planner features 12 months of customized planning with a coiled, undated calendar! 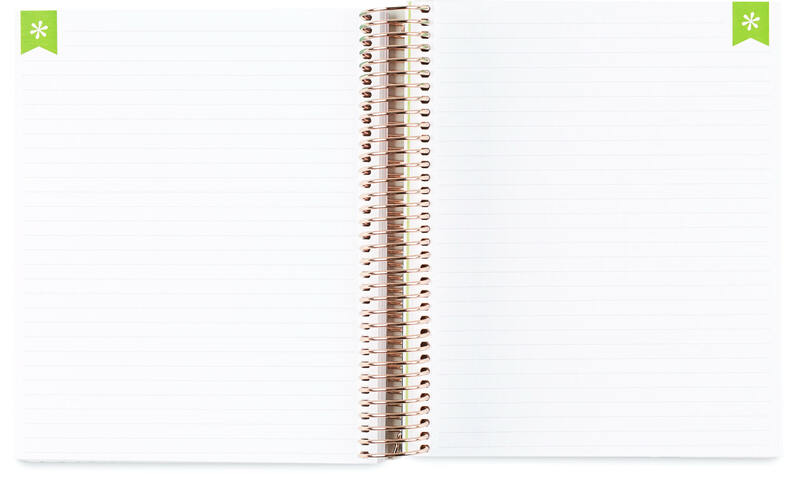 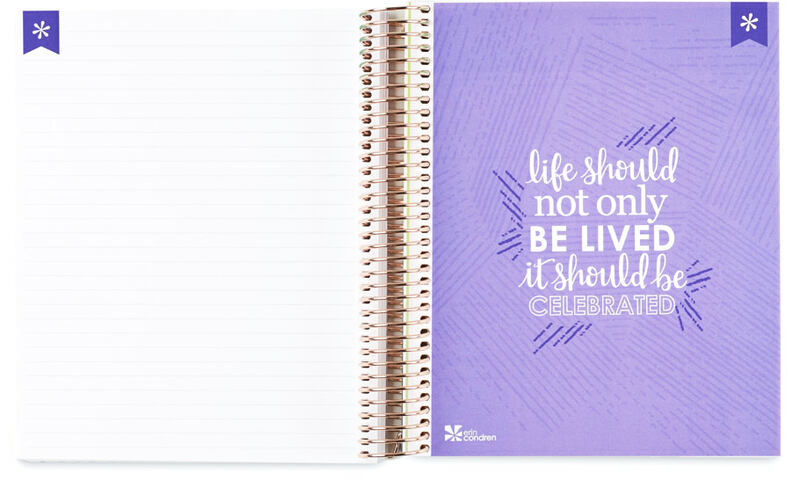 Lined pages, inspirational quotes and rich, luxurious paper ensure an optimum planning experience! 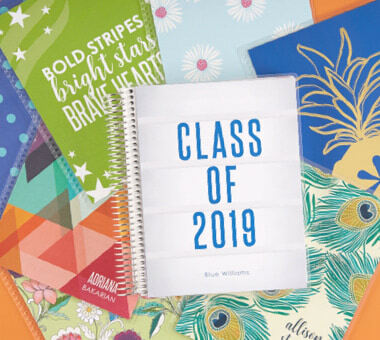 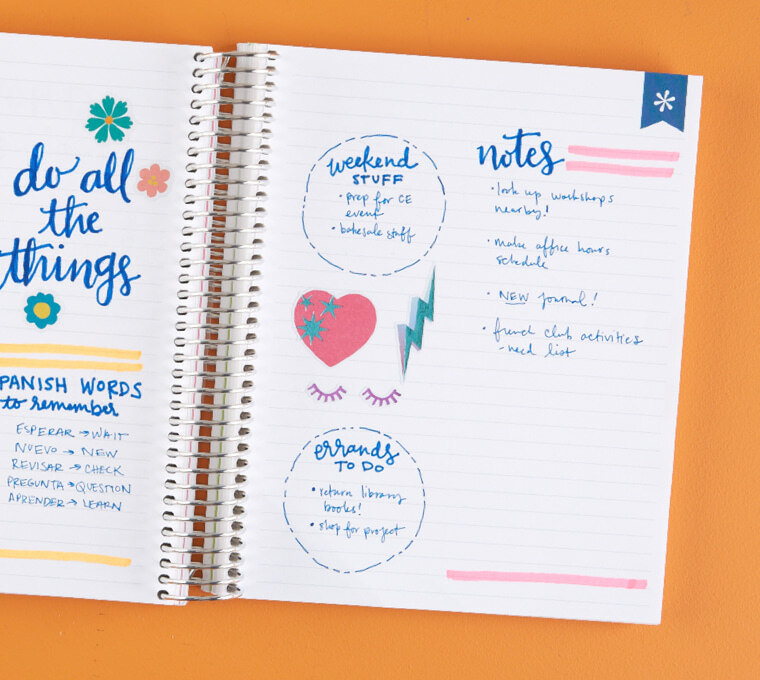 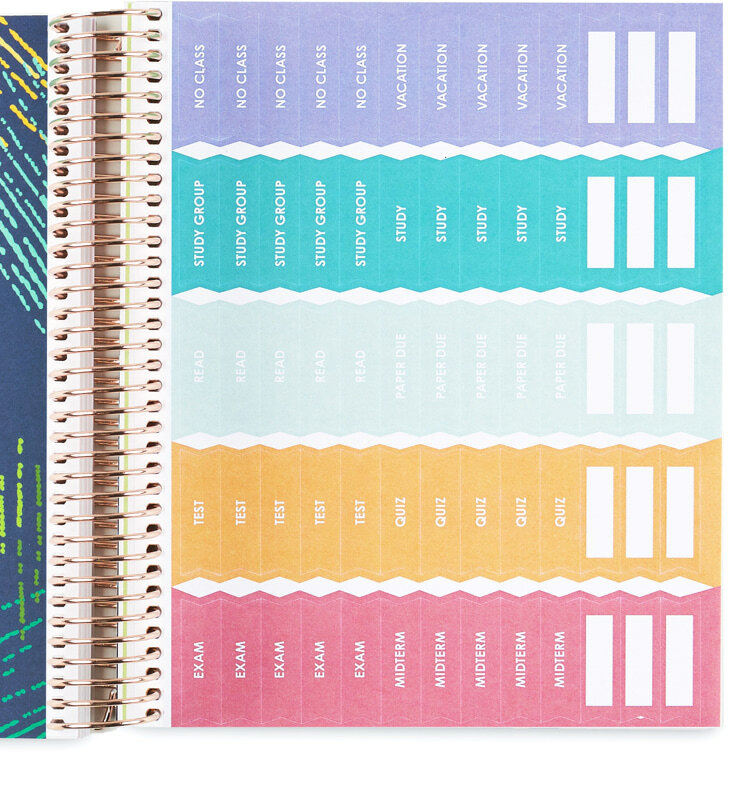 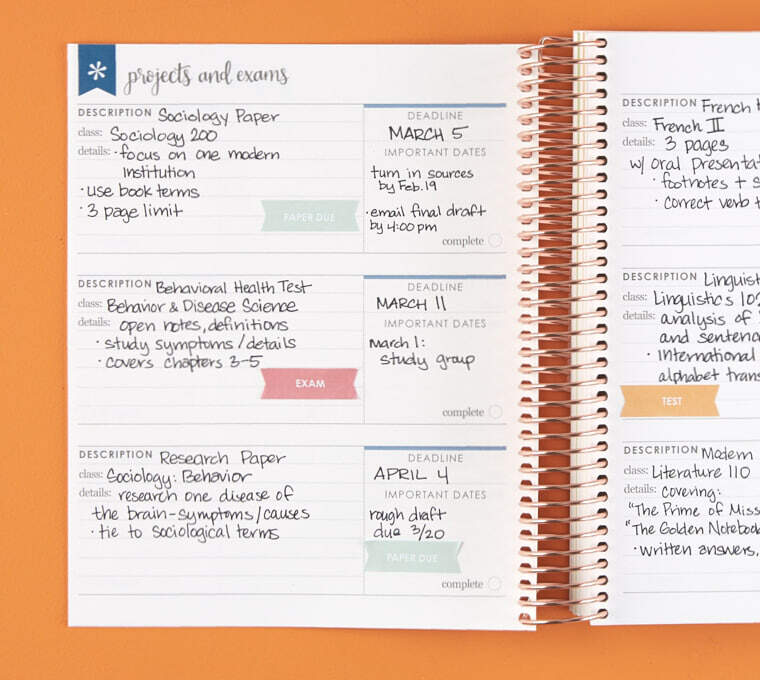 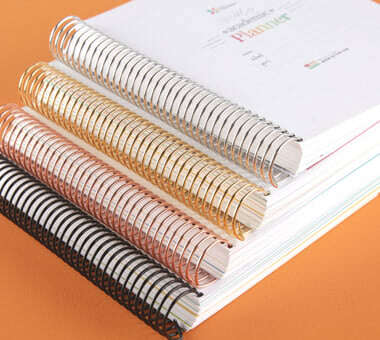 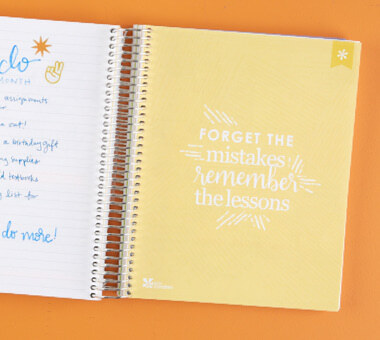 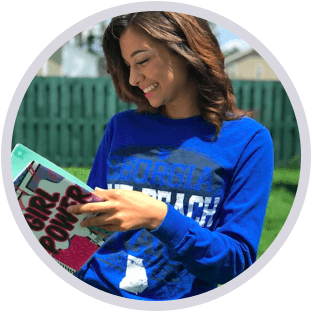 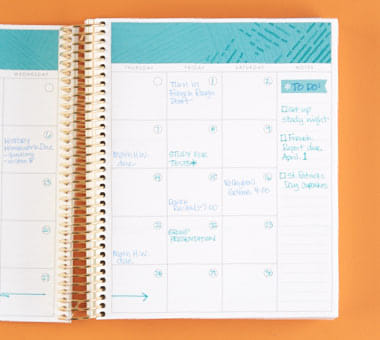 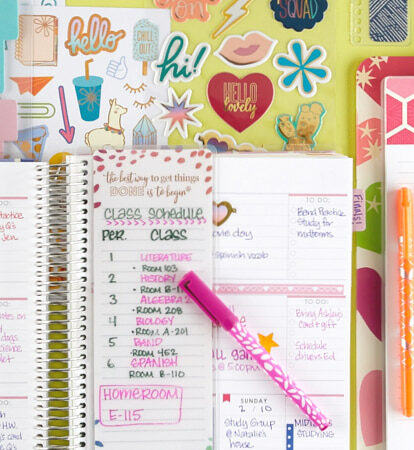 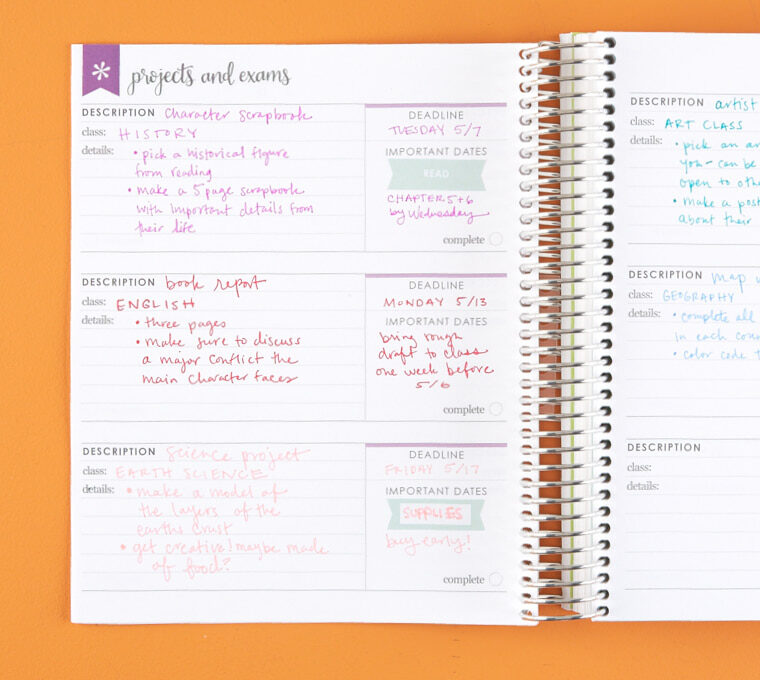 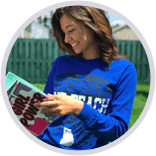 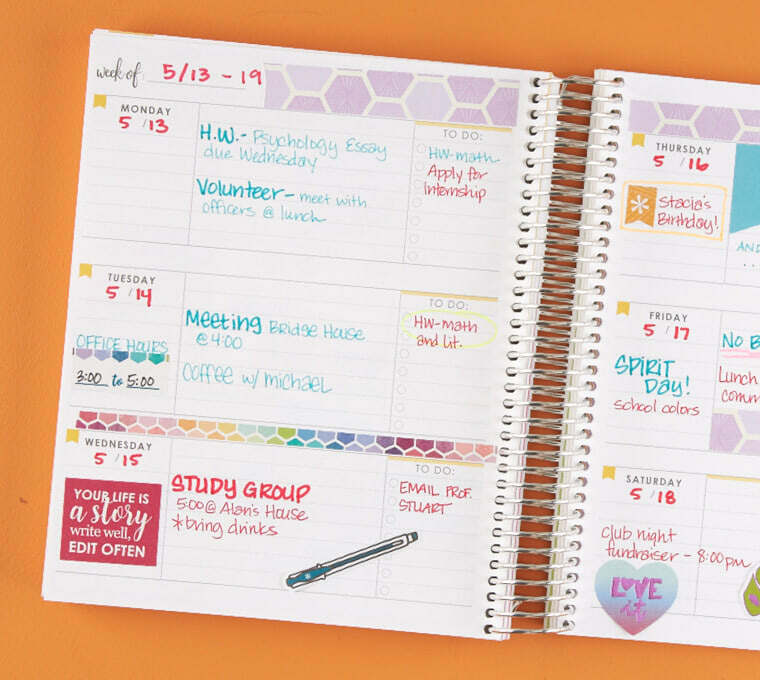 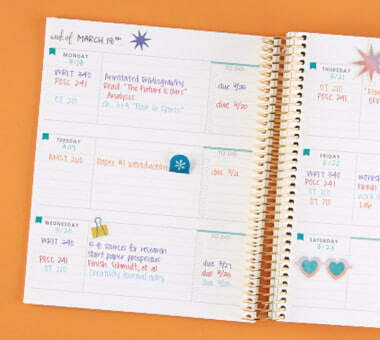 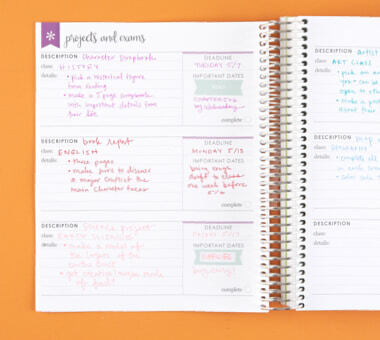 Plan for the most organized year of your life and see scholastic success come to life from the pages of your planner! Perfect for staying on track with due dates, group projects, exams and more, this must-have book will be the colorful cornerstone of your academic experience! 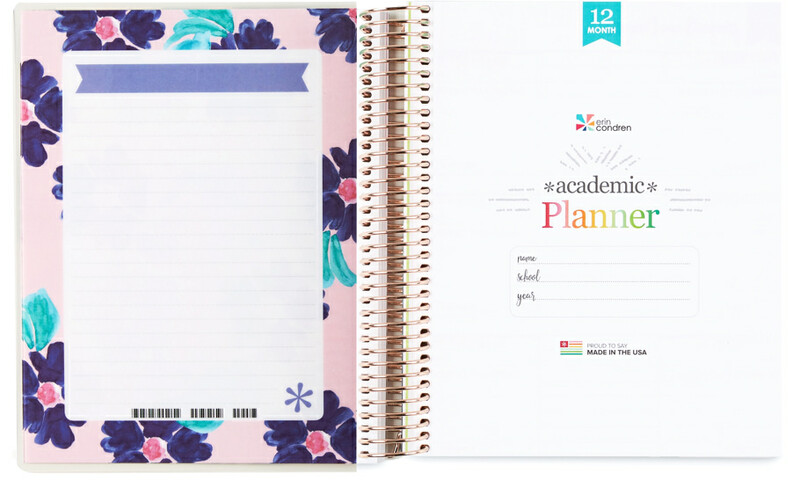 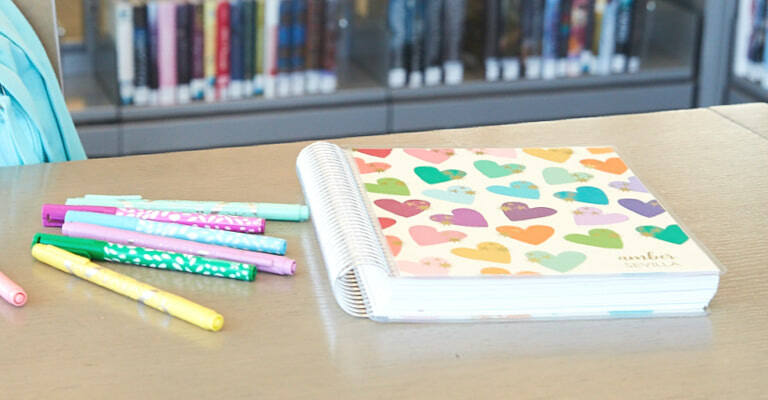 Our secure & stylish removable interchangeable covers allow you to switch & swap designs by subject, semester or season! Mix or match a coil color for the perfect finishing touch. 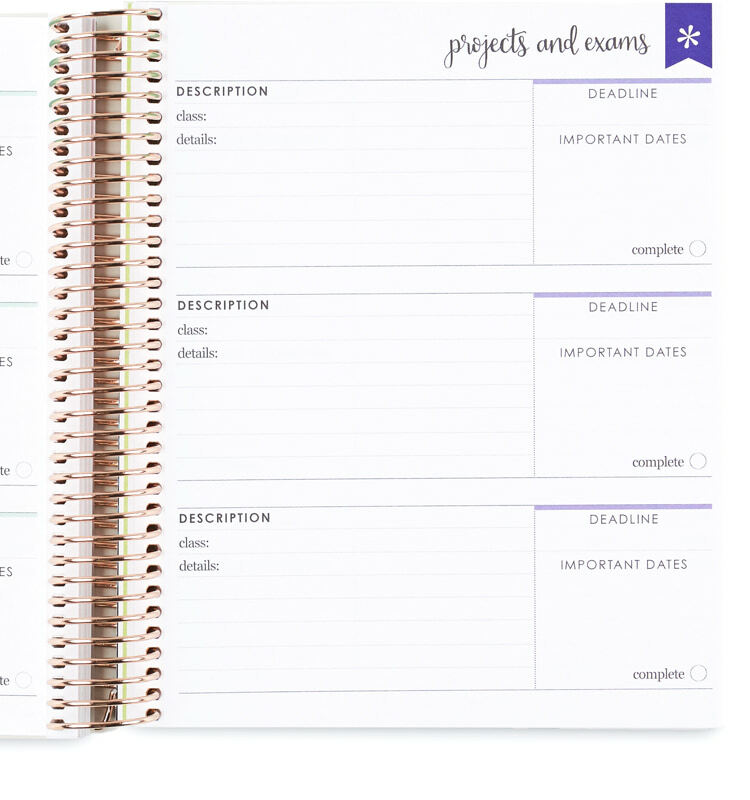 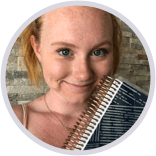 Dedicated pages for projects and exams are ideal for tracking project due dates, assignments and components needed to complete them! 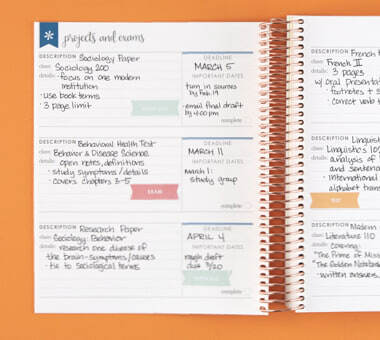 Each Academic Planner features weekly spreads for you to plan in, from to-do lists to study schedules, after-school activities and more! Two-page undated calendar spreads allow you to note big deadlines or events and see the bigger picture as you reach your planning potential! 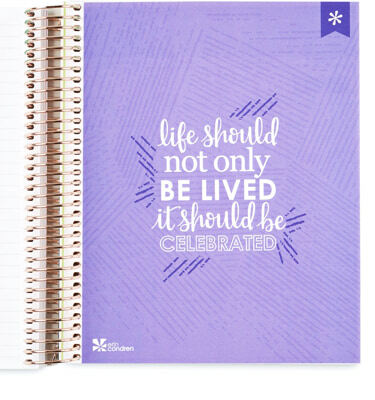 Extras like lined pages before each month and bold, motivational quotes make for happy planning! 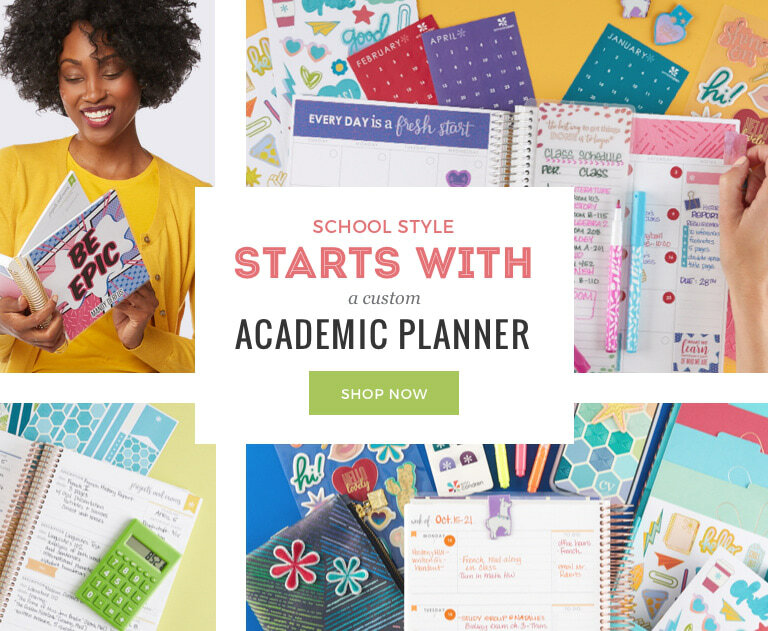 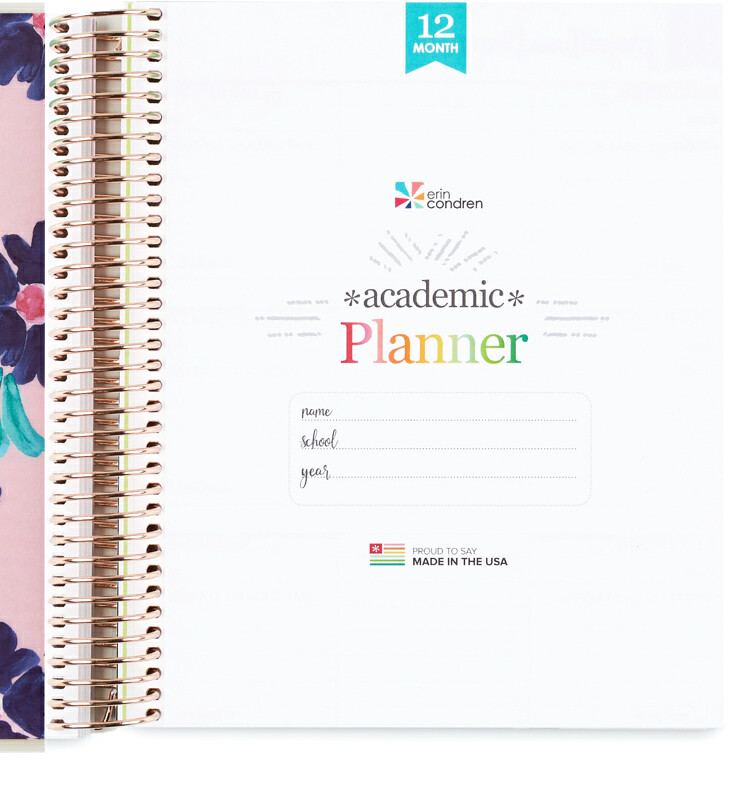 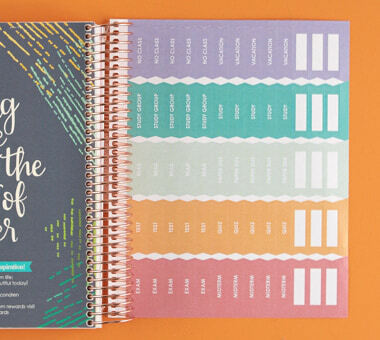 The Academic Planner is way more than just a planner, it’s a dose of inspiration! 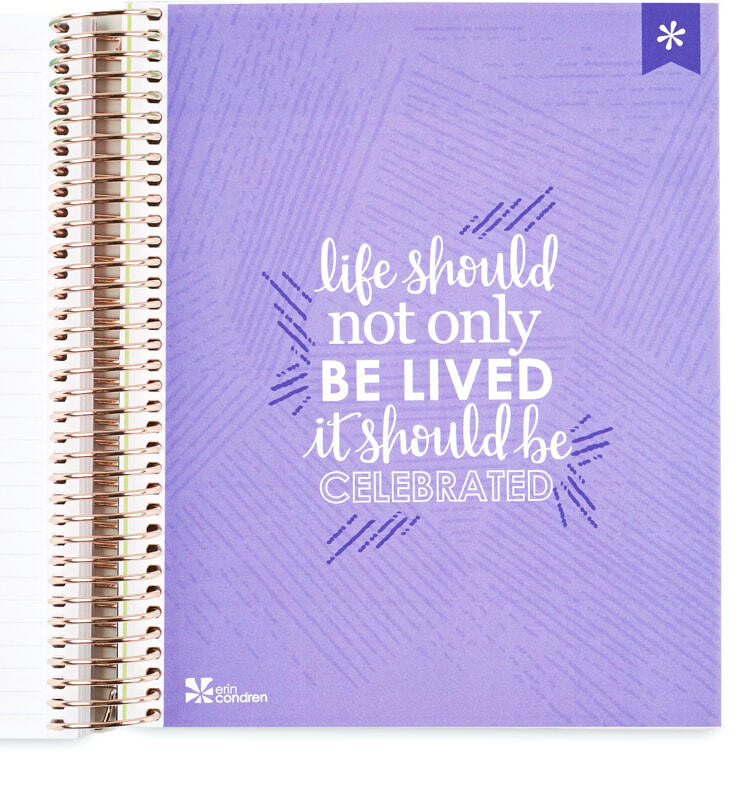 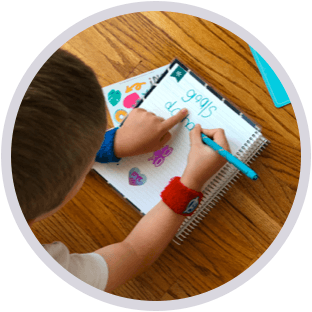 We coil in extra surprises so our customers can celebrate each day in the classroom! 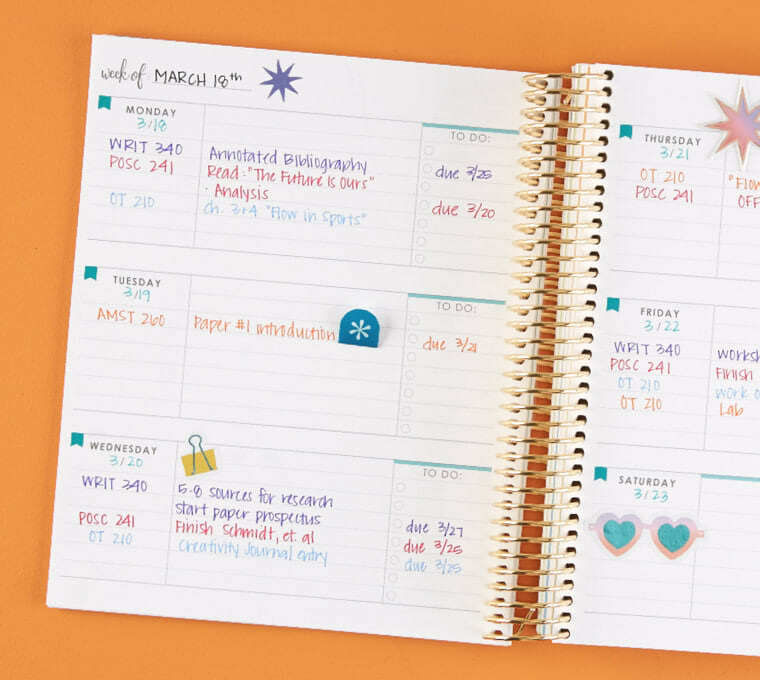 Our Academic Planner includes 2 sheets of coiled in stickers. 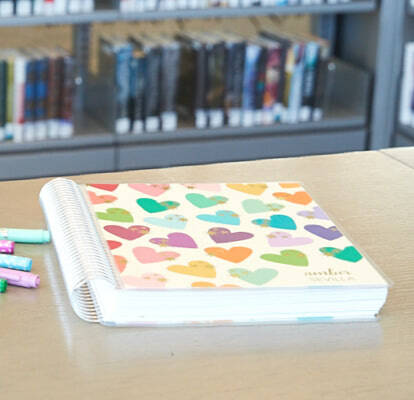 $34 value for $25 includes a designer pencil set, colorful dual-tip markers 3-pack, fine tip wet erase markers and the multicolor bright highlighter pack. 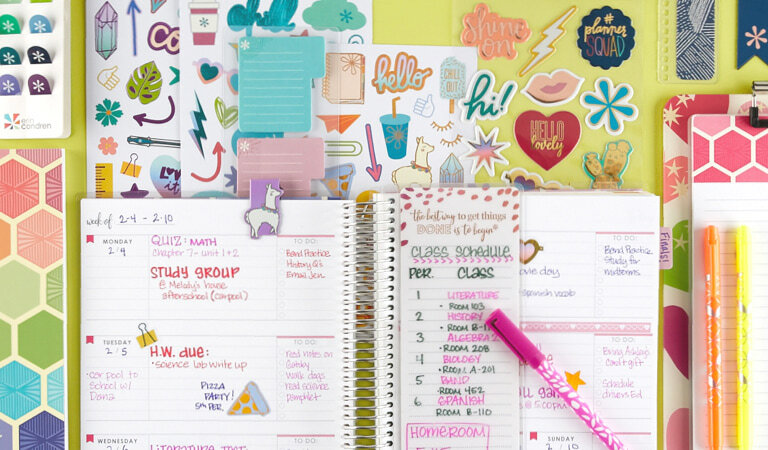 This essential accessories pack is perfect for anyone new to planning! 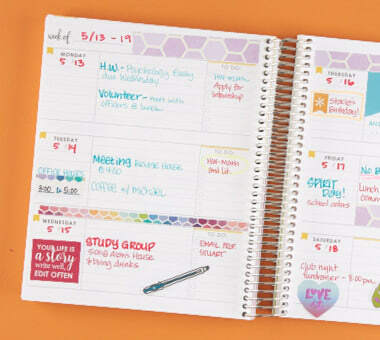 Featuring bestsellers like our dual-tip markers this must-have set is sure to have you planning in style. Enhance your planning with a colorful assortment of our bestselling accessories! 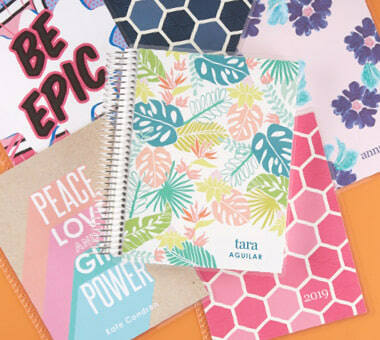 This bundle includes some of our NEWEST favorites like our Woven Wonder Planny Pack. Say yes to coordinated organization with the must-have bundle chock-full of Woven Wonder-inspired accessories, perfect for planning in your new planner!